Mandatory vaccination for adults and children generates substantial pharmaceutical industry income (vaccine income amounted to over $25 billion in 2013*). According to Natural Solutions Foundation forced vaccination is opposed by health freedom advocates around the world as bad public health policy. Foundation Legal Director Ralph Fucetola JD remarked, "Forced vaccination is a significant violation of the Nuremberg Code since coercion cancels Informed Consent and freedom of choice and self-determination." Natural Solutions Foundation, a global leader in health freedom, has responded to this international threat with an innovative information program. The Foundation is sponsoring a 16 hour radio Marathon bringing together legal, medical, health policy experts and experiencers to share powerful information with a worldwide audience. Following the event, an extensive e-book (with all audio files, supplementary information, video links and bibliography) will be available without charge for reference. The MayDay! Mayday! 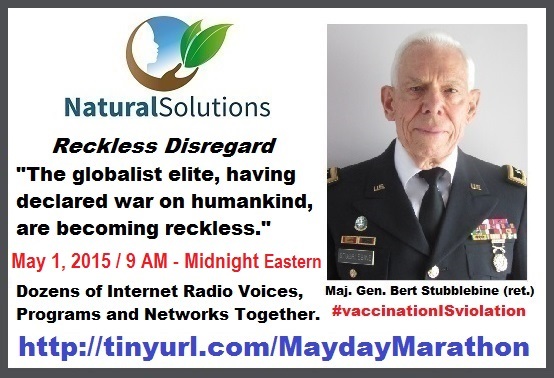 Vaccine Truth Marathon will be broadcast on multiple internet radio stations simultaneously. The public is invited to participate in interactive chat and twitter streams during the event. 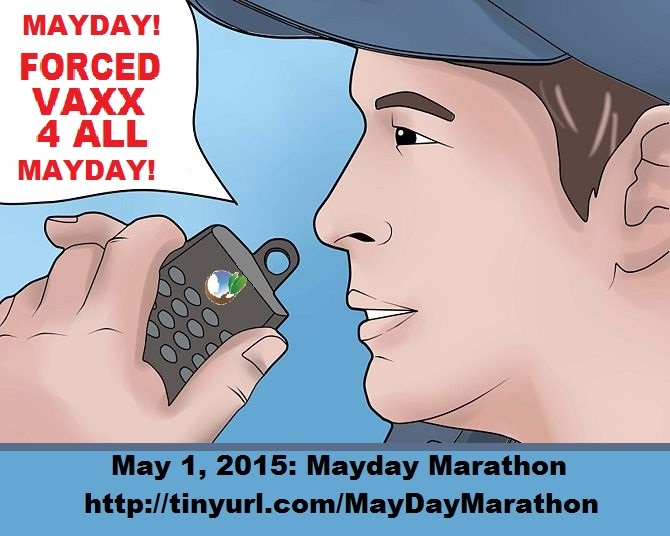 A list of participating radio stations in the US, EU, New Zealand and Australia is available at http://TinyURL.com/MAYDAYMarathon. "Truth is needed to counter the blatant forced vaccination propaganda emitted by Big Pharma and its cronies in Big Media and Big Government. We are bringing together a couple dozen Truth Speakers from around the world -- doctors, scientists, ethicists, nurses, parents and others. Each has part of the Truth about vaccination. With vaccinations being forced on poor families in Australia while a corrupt California legislature pockets millions from Big Pharma, threatening our hard-won philosophical and religious exemptions, it is time that voices for reason and freedom were heard. That is the purpose of the Mayday! Mayday! Vaccine Truth Marathon." Participating Talk Radio Networks include: Veterans Truth Network, American Freedom Radio, UCY TV and the Real Liberty Network.